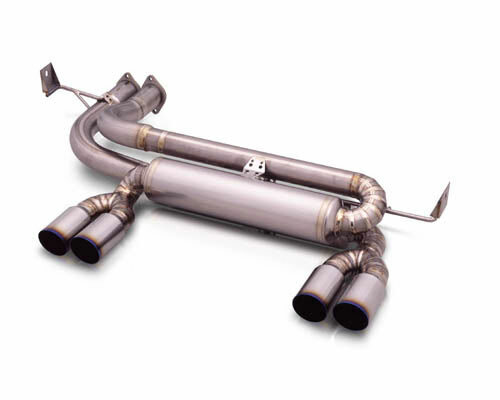 We list and review the most popular BMW E46 M3 exhaust systems on the market. This is the ultimate guide to selecting your new M3 exhaust. The BMW E46 M3 is certainly no slouch from of the factory. In fact, not only is it quick, but it’s also one of the best looking BMW’s of all time. That being said, and you may disagree, but we think that the stock exhaust tips could be far more exciting. 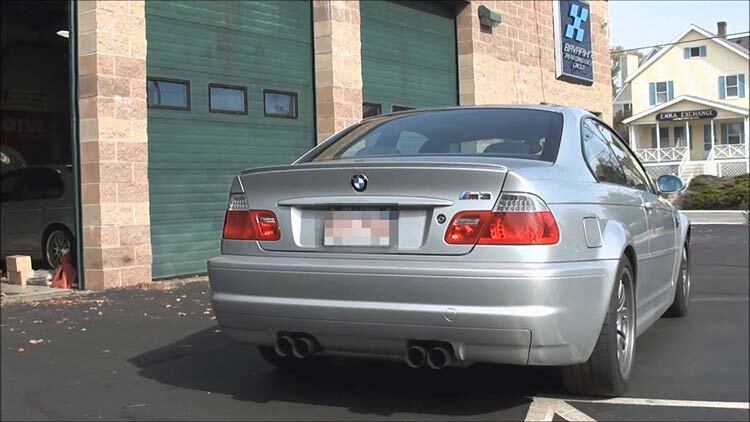 Some owners love the sound of the stock M3 exhaust as it’s notorious ‘rasp’ screams the car to the redline and feel that it should be left exactly as it left the factory. However, other owners feel that that’s just a small taste of the potential that the S54 engine has to offer, and they want to unleash the true sound potential. This is where simple bolt-on modifications can completely transform the sound of your E46 M3. Sure, they sound great from the factory, but what if you could make it sound more like an exotic Ferrari, or dare we even say close to what F1 cars SHOULD still sound like? When doing our research, we were reminded of just how spoiled M3 owners are for choice when it comes to these cars. There are several incredible options on our list and we’ve broken down our preferences from price, to sound, to quality. 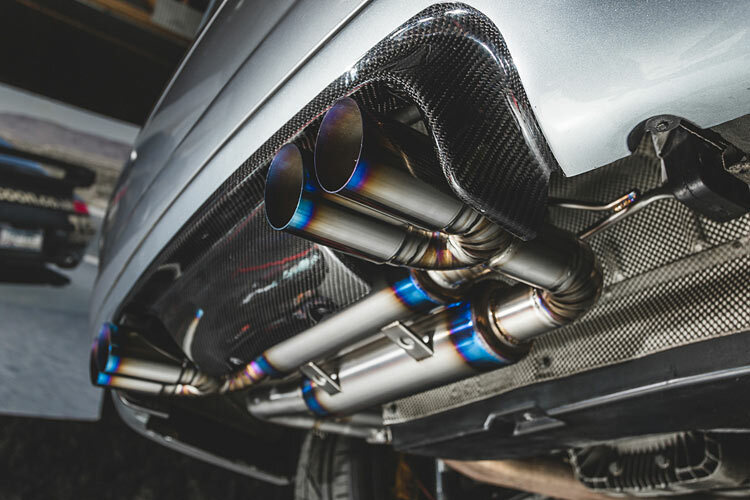 Looking for a high-end titanium exhaust to set off car alarms down your street? We’ve got you covered. Looking for a quiet daily driver to keep the wife from complaining, yet it’s still capable of screaming its way through the canyons on the weekend? Sure, we’ve got you covered too! We’ve given you all the information you’re going to need, along with images, prices, and videos. Make sure you realize that several modifications can be made to an exhaust from the header to the muffler, so don’t expect every video to be completely stock with just an exhaust added. 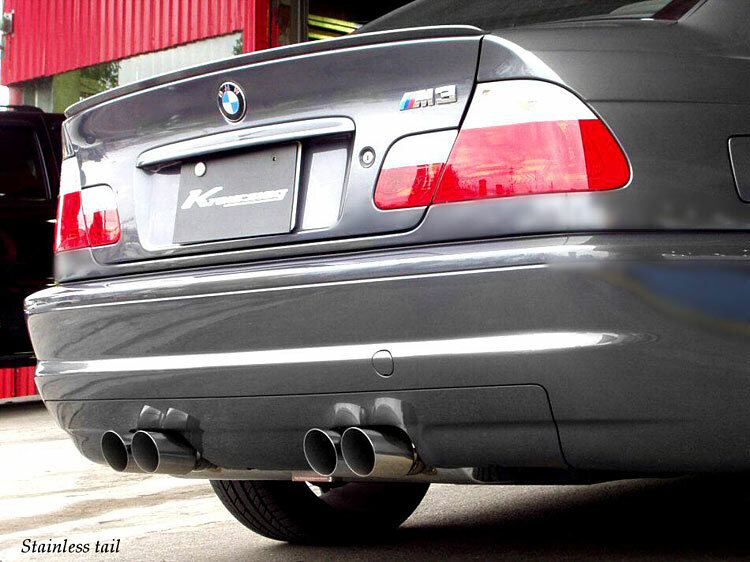 Now that you know what to look for, let’s take a look at our E46 M3 exhaust selection! Our comment: One of the most popular E46 offerings kicks off our list in style. 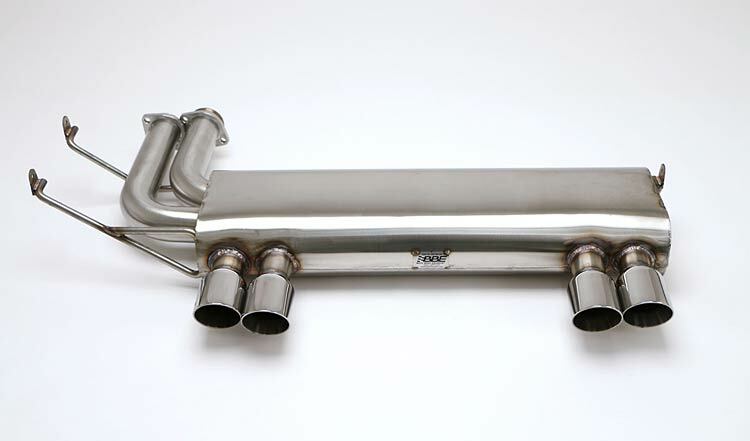 Featuring incredible build quality, welds and fitment, this stunning titanium exhaust is understandably a common choice. This provides a very loud, aggressive sound. It’s deep in the low end and screams at high revs. There is some drone when cruising, but it’s not unbearable. If you like your M3 to be the center of attention, this is definitely an ideal choice. If the titanium version is out of your price range then it’s worth considering their stainless steel with titanium tip option too. Our comment: Eisenmann is another hugely popular choice and regarded by some owners as the best and most refined sound there is for the M3. At your typical cruising around town speeds, it’s not overly loud, but as soon as you put your foot down it roars to life and the typical E46 rasp is enhanced past 4,000rpm. If you’re after an exhaust note which sounds good throughout the range without being too ‘boomy’ and screams at the top end, this is a great choice. If you’re after bigger tips, check out the 83mm tip option. 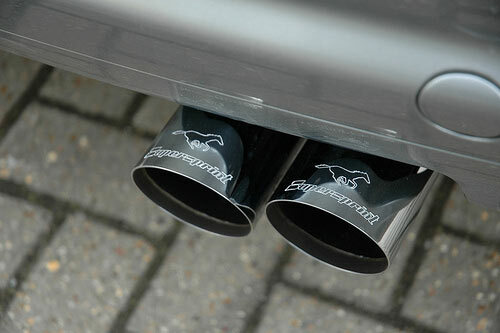 Our comment: Once again, the GruppeM is arguably one of the most favored exhausts. This delivers an exotic exhaust note and is about as close as you’ll get to an F1 car in the top end. Be warned though, it is extremely loud and aggressive and definitely isn’t to everyone’s taste! With minimal sound deadening, it’s very close to being straight pipes but with a much more refined sound. If you’re looking for a more exotic sound from your M3 and don’t mind yelling to your passengers, this is well worth considering. However, with its lightweight properties and noise levels, it is probably more suited to the track than the city. Our comment: Supersprint bring three options to the market, Street, Sport, and Race. We’ve opted to review the most popular full-retard Race system here. 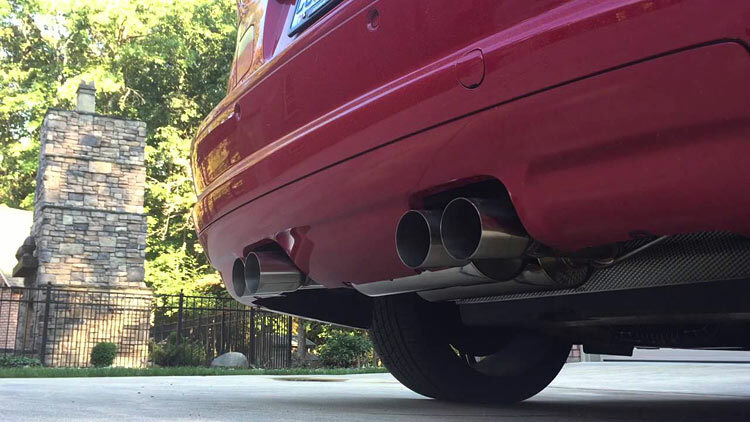 This is probably THE most popular exhaust out there and it sounds absolutely incredible. With a throaty, aggressive sound, it’s note will roar all the way to the redline. Any of these three exhausts will serve you well. Supersprint has an extremely good reputation and the video will undoubtedly speak for itself! Our comment: This is a reasonably priced, very low and rumbly system with a fairly loud muffler. Great quality and an excellent all-rounder, assuming you can get past the strange name! If you’re after a deep idle which screams in the upper range, it’s well worth taking a look at. Our comment: It comes in at the highest price on our list despite being a stainless steel exhaust, but many owners will tell you that it’s worth every penny! 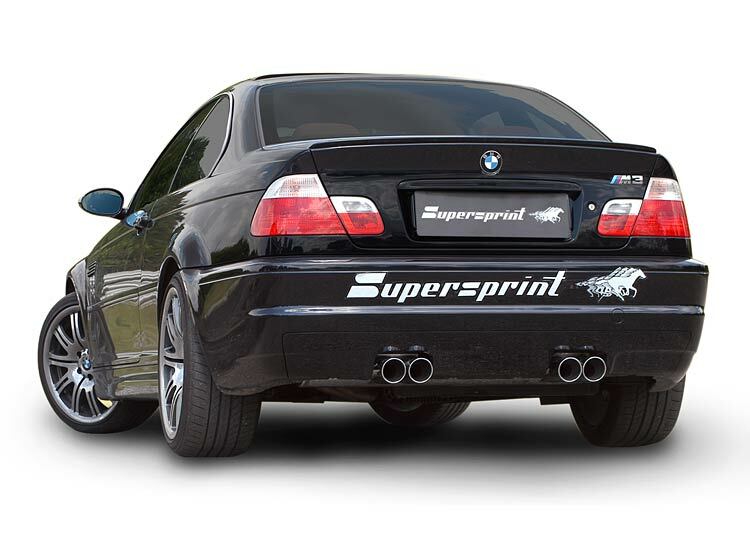 Often regarded as the unicorn of E46 M3 exhausts, this is perfect for those of you with big pockets that also hit the track. This is the only exhaust to feature internal valves which allow you to change the volume, essentially a straight through when wide open. You can also choose the volume you’d like to have in both the opened and closed positions. This is the most exotic sounding exhaust and it really is an incredible F1-style sound at full throttle. Our comment: These are one of the rarer options on the market, but those who are lucky enough to have one are delighted. It features an amazing, aggressive tone. Be warned that some have issues with the mounting bracket, and given the difficulty of welding titanium, we recommend ensuring it is a perfect fit. If you’re looking for a more affordable alternative, their stainless steel alternative is much more affordable with a higher exhaust note. Our comment: Remus bring a far calmer, clean option to the market which is the perfect option for those that are looking for a quieter exhaust for their daily driver. It’s a nice, clean sound which isn’t too raspy, with a good throaty growl under acceleration which wakes up in the higher RPM’s. Our comment: Megan Racing often receive mixed opinions from owners, but it looks like they’ve hit the nail on the head at an incredible price with the M3 variant. This has a small amount of drone and may have some slight sag, which is easily rectified. However, it provides a nice, deep, clean tone, is very light and also great quality for the price. If you’re on a tight budget and looking for an aftermarket exhaust to get an increase in exhaust flows, this is the one for you. 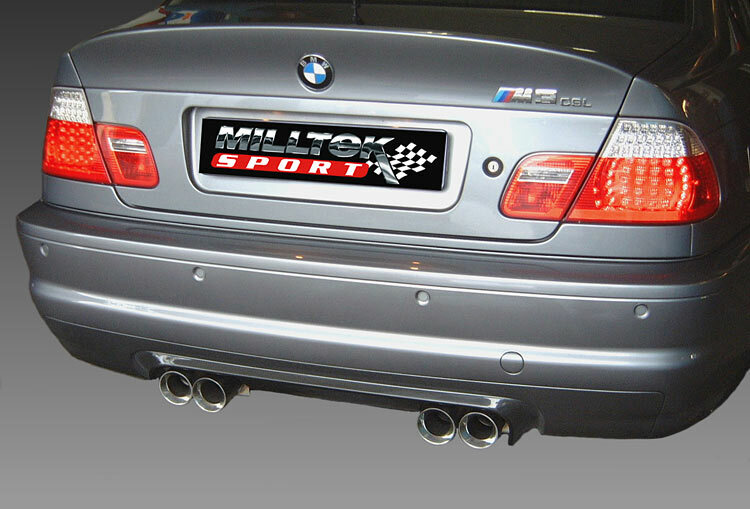 Our comment: Milltek seem to have been hit with a love/hate reaction over their M3 exhaust. Some say it’s very ‘boomy’ and the drone is unbearable with fitment issues. Others say that they love it, and that it’s deep and aggressive in the lower rev range but similar to stock in the high. We recommend doing your own research before buying, there are many happy owners, but we couldn’t ignore the bad comments when trying to provide an honest review. Our comment: Borla bring the gentleman’s choice to the game. Owners that are looking for a quiet exhaust are extremely happy with this. It’s the most civilized option on our list, with next to no drone and very little rasp. If you’re looking for good looks without wanting to wake the neighborhood, this is a strong contender. Our comment: The last, and most controversial exhaust has arrived! Dinan have taken a unique approach with this exhaust to allow for maximum flow. However, it has come at the expense of having to provide dummy tips for two of the exhausts. Despite the fact this will undoubtedly look a bit strange on a cold day, many owners believe that it’s actually the best sounding exhaust on the market. It’s not far off a stock sound, just slightly deeper and louder but sounds stunning as it screams it’s way through the upper revs. If you can tolerate the dummy exhausts, it’s well worth taking a look at. 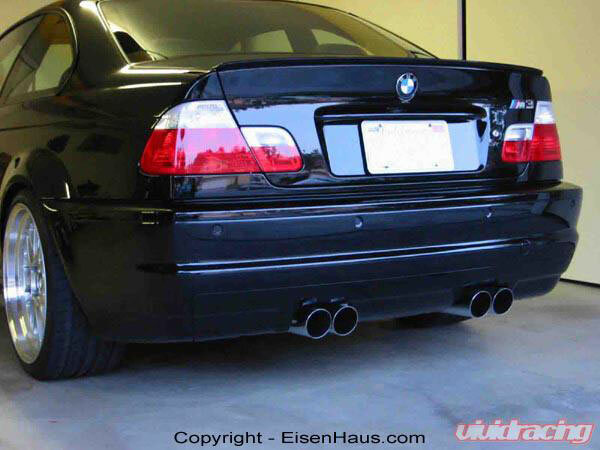 Own a BMW E46 M3 and wanting even more power than a bolt-on exhaust can offer? Check out the supercharging possibilities of these incredible engines in our BMW E46 M3 supercharger kit guide. 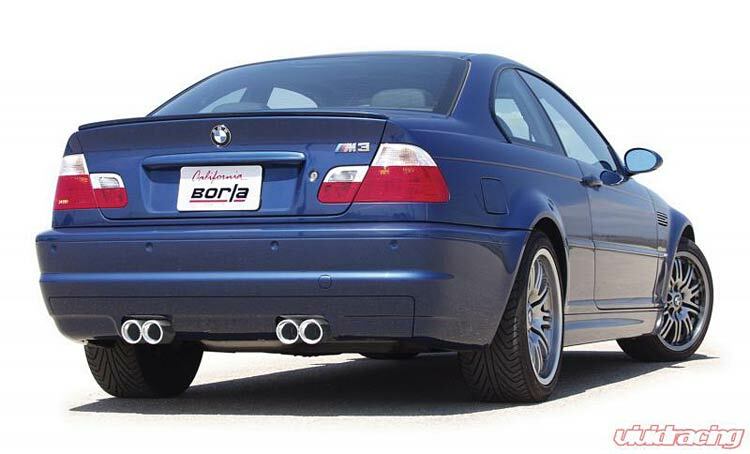 Which BMW E46 M3 exhaust is our winner? It was a close call between the Eisenmann and the Supersprint Race, but the Supersprint is definitely the most popular choice, and it’s easy to see why. An incredible all-rounder at a mid-range price point which sounds absolutely insane. 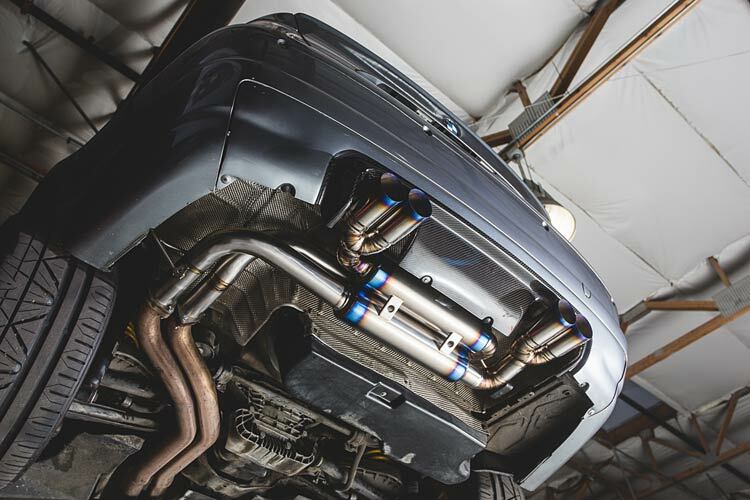 We have no doubt some owners will disagree, but we can honestly say that the M3 exhaust guide had some of the best options we’ve seen to date in our exhaust guides. There are so many awesome choices that you really can’t go wrong with! 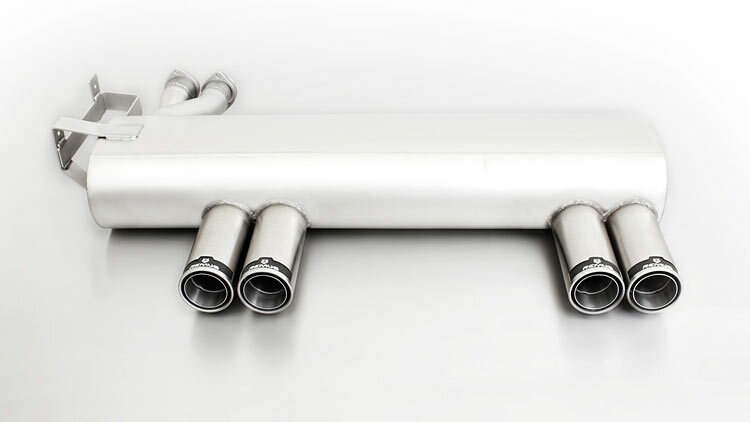 If you’re looking for a bargain, the Megan exhaust blew us away for the price, and we definitely wouldn’t hesitate to choose that if we were on a budget and wanting to get as much out of the car as possible. For those of you considering adding a supercharger, you will want to go with one of the louder, more free-flowing options to maximize your power gains and the Supersprint Race will be perfect for the job. If you’re looking for a quiet setup, the Borla looks and sounds fantastic, yet it won’t annoy your girlfriend or set off car alarms when you try to go for a relaxing drive.